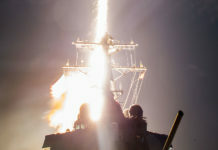 US Army air defenders employ innovative command and control system to perform simultaneous engagement of ballistic and cruise missiles, using different sensors and effectors. In the complex air domain, today’s air and missile defenders are forced to deal with uncertain information, short timelines and high consequences for wrong decisions. 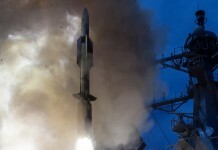 Part of the US Army Integrated Air and Missile Defense (IAMD) program develops an overarching system of systems capability that integrates all participating air defense components to provide total operational capabilities that individual element systems cannot achieve. In practical terms, IBCS efficiently manages the airspace defense by integrating all sensors to form a common air picture and harnessing all available effectors to assign the ‘best shooter’ to engage specific targets. 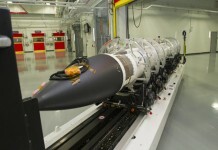 This capability was demonstrated for the first time in April 8, 2016 as U.S. Army soldiers executed a successful dual engagement flight test in which IBCS was used to identify, track, engage and defeat ballistic and cruise missile targets. 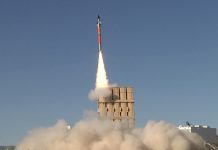 The test proved the system’s innovative concept of ‘any-sensor, best-shooter’ capability, as IBCS used tracking data from Sentinel and Patriot radars and provided the command and control for a Patriot Advanced Capability Three (PAC-3) interceptor to destroy a ballistic missile target and a PAC-2 interceptor to destroy a cruise missile target. 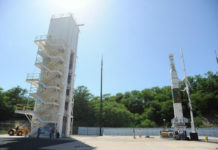 The test validated the ability of IBCS to manage multiple threats, integrate data from different sensors to create a single integrated air picture, and select the most suitable effector from different missile types to defeat multiple, simultaneous threats. [ismember]By networking multiple and distributed systems through IBCS provides wider area surveillance and broader protection areas, as opposed to simply linking them to each other. 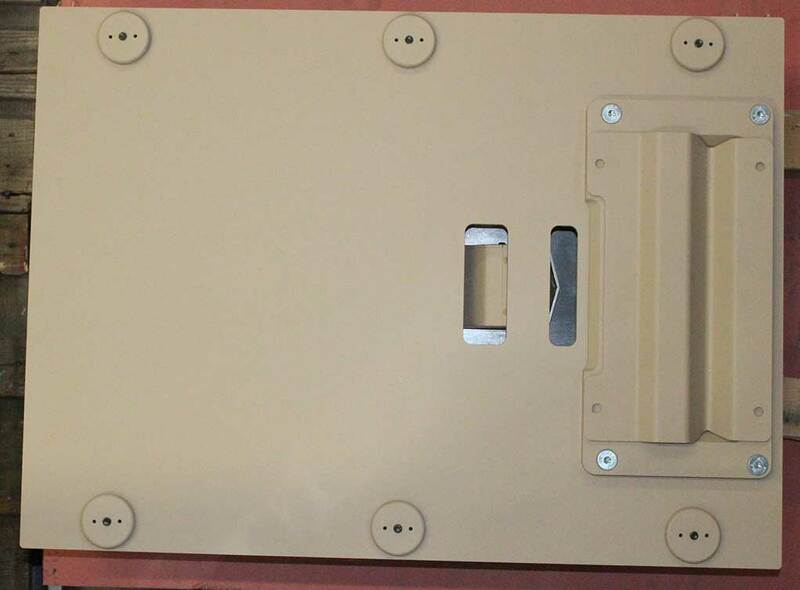 IAMD is implemented in distributed Battle Command Systems (IBCS) Engagement Operations Centers (EOC), connected via the Integrated Fire Control Network (IFCN) and common Plug-and-Fight (P&F) kits adapted to link the specific component – such as individual radars, sensors or weapons. 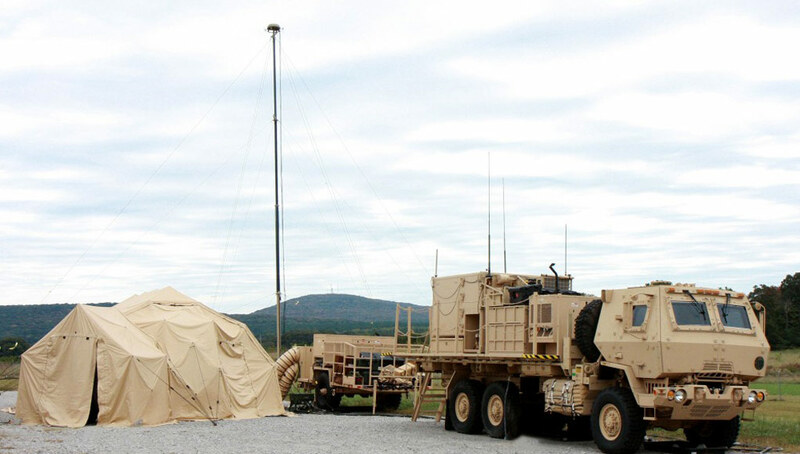 IFCN employs components of the Army Warfighter Information Network – Tactical (WIN-T) Increment 2 radios. 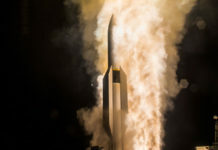 Implementing open systems architecture, IBCS enables integration of current and future sensors and weapon systems and interoperability with joint Command and Control (C2) and the ballistic missile defense system. 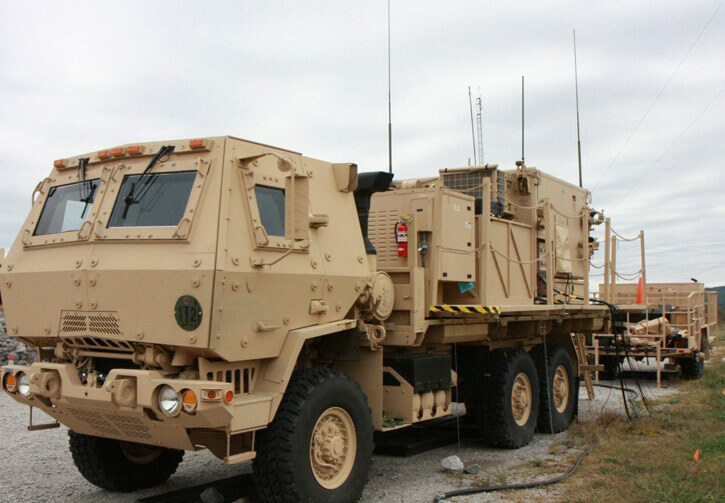 The Army plans to have the system operational (initial operational capability – IOC) by 2018, as Raytheon Improved Sentinel radars (MPQ-64), Patriot radar and Patriot missile launchers are connected to the IFCN and incorporate IBCS functionality at brigade headquarters. Future elements to be added to the system will include the Terminal High Altitude Air Defense (THAAD) missile defense batteries and Indirect Fire Protection Capability (IFPC) Counter Rocket Artillery and Missile (CRAM) and counter UAV (C-UAV) systems. This new architecture will enable extended range and non-line-of-sight engagements against all air threats, providing data to the most appropriate weapon, to successfully engage the target. Furthermore, it will mitigate coverage gaps as well as potentially reduce manpower, enhance training, and reduce operation and support costs.